Electronic Arts has revealed an ambitious project to provide its players with a cross-platform account system. The new system has taken a team of 1,500 engineers over 18 months to develop as part of EA's efforts to become a truly multi-platform games provider. The system will allow EA to serve - and track - gamers across mobile devices, PCs and consoles. This will create a "persistent state", allowing gamers to pick up games on a tablet where they left off on PC, for example. The company recently urged Smart TV makers to embrace Android, providing another platform for gamers to play EA's digital wares. 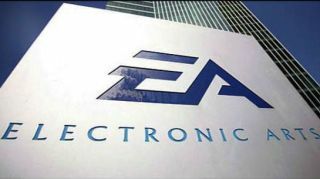 In an interview with GamesBeat, Raja Taneja, EA's Chief Technology Officer said: "Our strategic vision at EA is to create a single backend system so that we can truly embrace the secular trends in our industry that are creating massive growth for games. And we will be able to embrace all of the new business models that come with that." The improved tracking will also allow EA to gather more detailed information about gamers' habits, enabling EA to make more targeted marketing efforts. Real-time recommendations and custom promotions would likely be part of this. EA has already projected that by holding all the user data in one place it will save around 50 per cent on data storage costs. It is still working out the exact business models, but the new system could see gamers paying for titles on a per-platform basis.